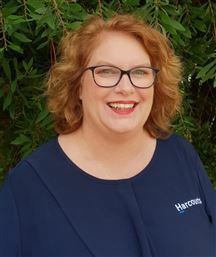 Michael Enever, director of Harcourts Bairnsdale, was born and bred in East Gippsland and has worked in the rural industry in the surrounding area for over 20 years. 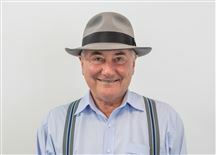 Leveraging his broad knowledge of the East Gippsland area and deep local relationships, he specialises in rural, farming, lifestyle and residential property sales. A fully licensed real estate agent, Michael also has a sound knowledge of commercial sales and property development. As someone who takes pride in his own ethical and moral standards, Harcourts was a natural fit. “I see Harcourts as a brand with solid values. I want to be a part of a fantastic brand and culture in real estate, and I want my clients have access to that as well.” Michael is passionate about his local area and loves the diversity that East Gippsland offers. His dedication to clients and enthusiasm for his work will ensure that your home, farm or investment property is in safe hands with a great outcome for everyone involved. Paul came to the Real Estate Industry 8 years ago with a highly developed set of negotiating skills from his extensive business background. During the last 8 years Paul has become one of the most successful Real Estate Agents in Lakes Entrance and is highly regarded by his past and present clients for delivering outstanding service and results as well as being very black and white to deal with. Paul has a passion for Real Estate and continues to service Lakes Entrance, Bairnsdale and surrounds. With his extensive knowledge of the residential and lifestyle property market and his old-fashioned service, you can expect a refreshing real estate experience with the best result when dealing with Paul. Easy living on Orrs Road. Room to move with more. One on Sebastopol Hill Road. Get your name on this Title. Something for all on Jennings. "In town" or "Out of Town"?